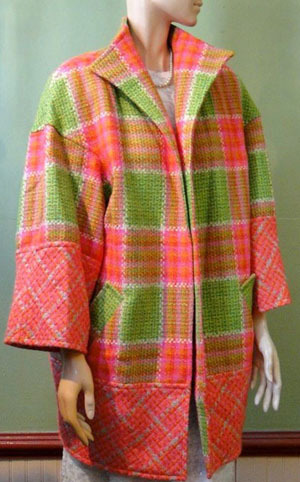 Outstanding fall-weight wool tweed coat by Christian Lacroix. 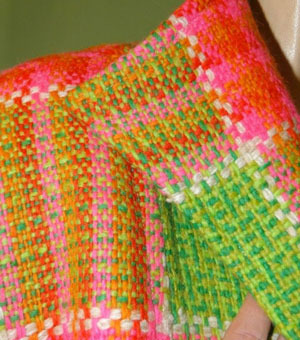 Lightweight wool tweed is a heavily textured hot-pink, orange, white and bright lime green dream. 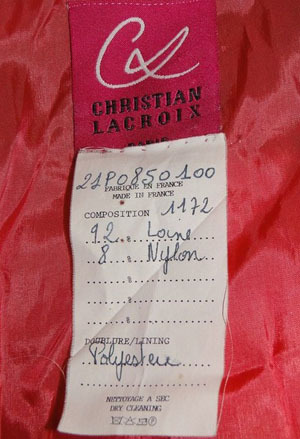 Deep pink lining. 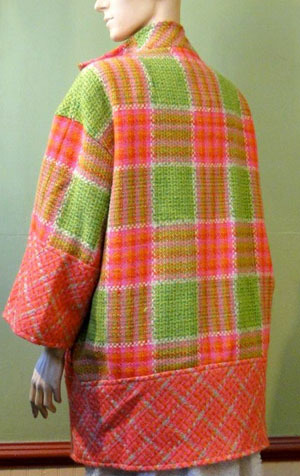 Open front clutch-coat has no closures. Stand collar and slightly pointed handkerchief hem at front. Deep slash pockets. 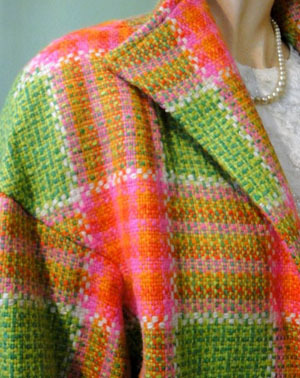 Gorgeous jacket! 17" around at wide wrist cuffs.